This ancient Chinese technique uses the manipulation of needles to free energy flow throughout the body to alleviate pain and treat conditions of body, mind and spirit. Acupuncture is the insertion of very fine needles into specific points on the body that lay along energy pathways, generating the movement of energy (qi) and prodding the body’s own healing potential. This holistic form of medicine has been practiced for nearly 5,000 years across the globe. Acupuncture, and other techniques used by acupuncturists, free up blockages in the energy system of the body. These blocks can cause pain, disease and emotional distress. Therefore, when the system is restored to its natural flow, we are restored to health and balance. Is acupuncture right for me? Acupuncture enhances the immune system, promotes healing and reduces inflammation. It can profoundly reduce stress and create an overall state of well-being. Your current condition and medical history will be discussed. Additional information will be gathered through pulse, tongue and body palpation examination. Acupuncture can target medical problems throughout the body including: respiratory, circulatory, digestive, reproductive, neurological, gynecological and urinary systems. The World Health Organization recognizes the use of acupuncture for a wide range of medical problem. Please see www.who.int for additional information. In addition to or instead of the use of needles, other techniques may be applied during a session including heat therapy, frictioning and various forms of body work. Specifically these techniques can include moxibustion, cupping, gua sha, shoni shin, tui na, amma, bleeding and electric stimulation. All techniques will be fully discussed and questions or concerns addressed. In most cases, after all the needles are in place, you will rest for about 20 minutes before the needles are removed. This time is normally deeply relaxing and often results in a profound inner calm and reconnection with the self. How fast does acupuncture work? It could be immediate, as it has been for many of Deborah’s patients, like a fibromyalgia patient who felt Western medicine had failed her. She came to Deborah with chronic neck pain that was alleviated after the first session. Twice weekly sessions for two months helped retrain the patient’s musculature to remain in its natural, elongated state, relieving pain and tightness and allowing for the restoration of the free flow of energy. Most of Deborah’s patients feel symptoms alleviated within a couple of days. Occasionally symptoms are exacerbated before they get better. Deborah’s goal is 80% improvement after a session or two. Of course every body and situation is unique, however, sometimes–that is exactly what happens. With nearly 20 years of experience, Deborah has learned to deal with most scenarios. It may be necessary to do a few treatments or a series of treatments, based on the condition and the length of time it has existed. A treatment plan will be discussed during the first session and readdressed as needed. Depending on the type of treatment received, you may feel some muscle soreness. Other sensations: Almost always there is a deep sense of inner peace and relaxation. You may feel relaxed and even sleepy or energized. Deborah often ends sessions with hot stone meridian therapy to further relax muscles, restore energy and blood flow, increase range of motion, stimulate chakras and acupoints and to create an overall sense of well-being. “And it feels wonderful!” she says. Deborah almost always includes Trigger Point / Myofascial Release Techniques in her acupuncture sessions. She will address Trigger Points (tight, tender areas within a muscle) whether she is treating fertility, headaches, anxiety or muscle pain. This style of acupuncture can be extremely effective in relieving symptoms and healing imbalances, often in a very short amount of sessions. “A large portion of my clientele is made up of athletes of all kinds,” says Deborah. “I regularly work with triathletes, Iron Men/Women, and marathon runners, particularly while they are in training or if they are injured.” Deborah specializes in Myofascial Release Techniques (including Trigger Point Release) that help relieve pain, release spasmed muscles, decompress joints, increase range of motion and profoundly improve athletic performance. So you get the best of both worlds! Deborah works regularly with conditions related to knees, hips, ankles, feet, shoulders, backs, hamstrings and IT bands—all the places those of us who use our bodies in extreme ways can potentially encounter problems. “In my experience, I find that Acupuncture can be the one single factor enabling an injured athlete to resume their training and participate in their competition when they otherwise would not be able.” Acupuncture also works very well with other therapies such as Physical Therapy, often speeding up the time someone needs to be in Physical Therapy altogether. Well, let’s start with what is similar—the thin needles that are inserted. 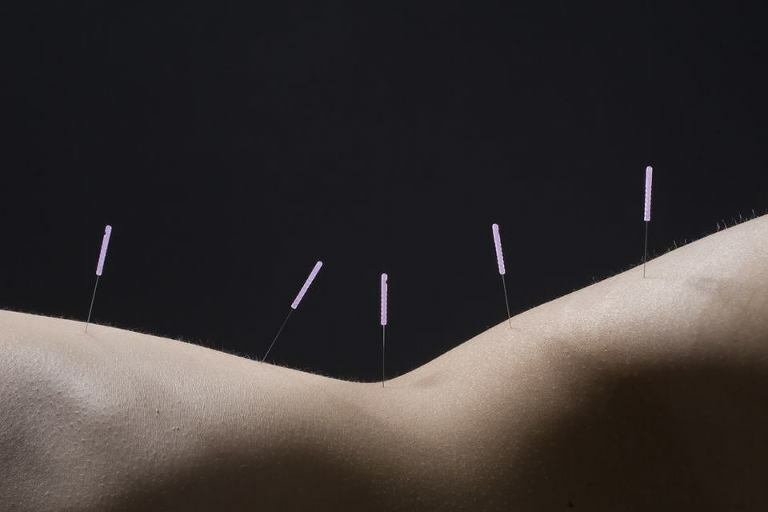 In trigger point acupuncture, the needles do target specific knots and tightness in muscles to release them. But acupuncture is so much more than just treating localized injuries. Acupuncture seeks to restore your whole body. Dry needling provides relief in tight areas. This technique is not performed by an Acupuncturist and is hyper focused on specific pain areas. © 2018 Holistico Wellness & Beauty|ProPhoto Photography Blog|Design by Northfolk & Co.